Alfred Otto Wolfgang Schultze (1913 – 51) went under the alias “Wols” (a mispronunciation of his name by a telephone operator): he was German by birth, but lived his latter years in France, mainly Paris. He was something of a polymath: an accomplished fish breeder, photographer, writer of aphorisms, musician (he liked to play Bach on his banjo), but most notably, an artist. Wols lived in poverty, was shuffled between internment camps during the second war, and died of food poisoning while being treated for acute alcoholism. He achieved some critical, if not financial success in his life and was regarded by Jean-Paul Sartre as the existentialist painter par excellence, though I suspect this tells us more about Sartre, than Wols. For those who like labels, the French critic Michel Tapié, described Wols as the progenitor of what he called “L’art informel” – the European equivalent of Abstract Expressionism – though Wols would have been surprised by this. He was a remarkably self-effacing man, possessed of a dry wit. At one of Wols’ exhibitions, Sartre was said to have explained the artist’s work to his dog (at least someone was listening), whereas Wols wrote that his own dog considered him “an idiot” (I think he was joking). 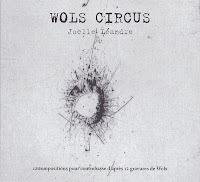 The title of this concert, given by Joëlle Léandre at La Maison Rouge in Paris in 2011 might come from a series of watercolours Wols produced in 1940 – circus rings populated by tiny Klee like, figures – or from an idea Wols set out soon after in a rather touching letter he wrote in English from an internment camp, in support of his application for emigration to the United States. “Circus Wols” was a grandiose – and largely unintelligible – multimedia synthesis of Surrealism, Nietzsche, Bach and Bacchus, which would explore the relationship between art, science, philosophy and human life. Like his emigration, this came to nought, and thereafter Wols studied the marine life and rock formations of the Mediterranean, from which he developed an idiomatic calligraphy, primarily through works on paper, but fully developed in his paintings. Wols’ etchings, rumoured to have been produced using the stylus of an old record player, are full of smudges balanced against microscopically precise, spidery scratches, enveloping what resemble fossilized organisms. “A tiny sheet of paper can contain the whole world”, is one of his aphorisms. The subtitle to this CD is “12 compositions pour contrebasse d’après 12 gravures de Wols”. The name of each piece corresponds to one of Wols’ etchings produced between 1942 and 1949 (most of his works were named posthumously, by his wife, dealers and friends). 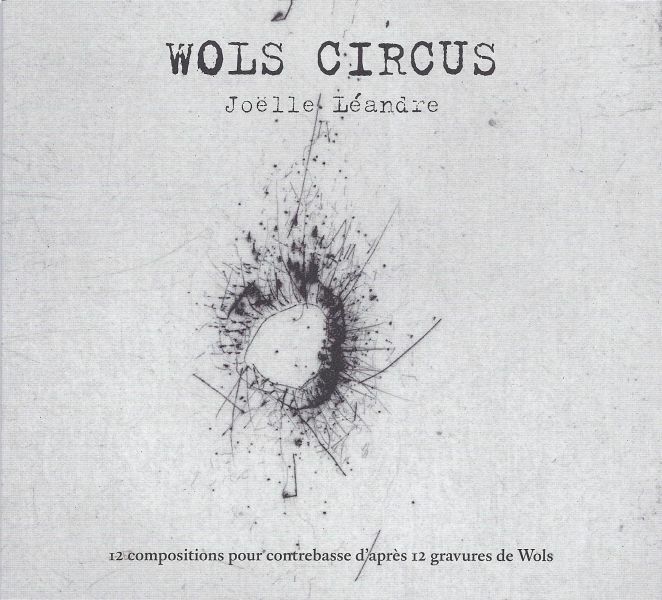 According to Tristan Cormier’s concert notes, Joëlle Léandre regards Wols as a kindred spirit – they share a “sense of circus which leads seamlessly from the farcical to the serious, from Bach to the banjo”. 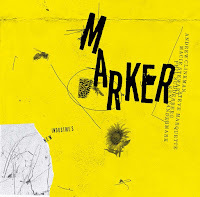 Interestingly, it would seem that these pieces are “composed” in the sense that Léandre has produced graphic scores, based on the etchings, which form the basis of her improvisations; she is clearly looking at something on her music stand in the video excerpts from the concert at http://vimeo.com/59198120. Léandre has been long established as one of the great innovators and improvisers on the double bass – one is tempted to call her the “grande dame” – favouring solo, duo and trio formats, with a wide rangea of collaborators. 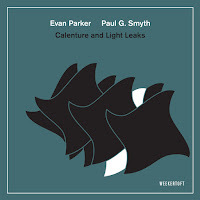 She is a true virtuoso, never tempted by showmanship, and her rich vocabulary of sounds (arco predominates over pizzicato) and structural sense owes much to composers such as Xenakis and Cage, as well as improvised music. Like Wols’ etchings, these are small works that explore condensed ideas, offering sharp contrasts in mood and texture, and on occasions a rapid escalation to extremes. “Drei Vignetten auf einem Blatt” is whisper quiet, with paper threaded through the strings, making a sound like the movements of dust. “Herz” breaks into an impassioned folk like melody, taken up by Léandre’s voice. In “Stadtzentrum”, there are creaking sounds, scumbling double stops and a repeated three note figure, over which she whistles the blues. 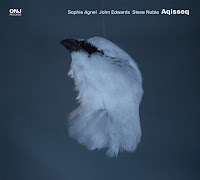 “Ohr” is introduced by a theme tapped out gently, col legno, which is then taken up, arco, and quite movingly, in a clear allusion to Bach (sans banjo). 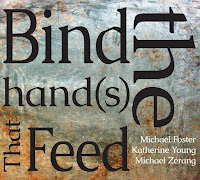 There is also something of Wols’ fibrous energy in Léandre’s playing: “Kleiner Fleck” – reproduced on the cover – consists of a single note on the bass, accompanied by her voice, a tibetan like hum, that rises to a cry as she and the bass reach a crescendo. 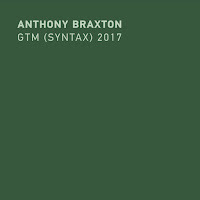 In contrast, “Große Tache” is a long diminuendo, vanishing into near silence. The final piece “Die Stadt/Quer” alternates plucked figures, with repeated chords and glissando swoops, concluding with a percussion accompaniment from unnamed third parties, and the sound of a howling dog (Sartre’s unfortunate mutt?) and a breathless “merci”, from Léandre. Like a print run from an etching, this release is limited to a numbered edition of 480. For those interested in pursuing Wols’ art further, there is a retrospective exhibition of photographs, works on paper, and paintings currently at the Kunsthalle, Bremen, until 11 August, transferring to the Menil Collection, Houston, from 13 September to 12 January, 2014. The catalogue is excellent. Very profound review, Colin. The video is very interesting as well, especially when Leandre "sings" and whistles. I am looking forward to your next reviews. Great review and welcome to the team, Colin! Thanks Stef, I hope I’ll be able to maintain the high standard set by yourself and the other contributors.